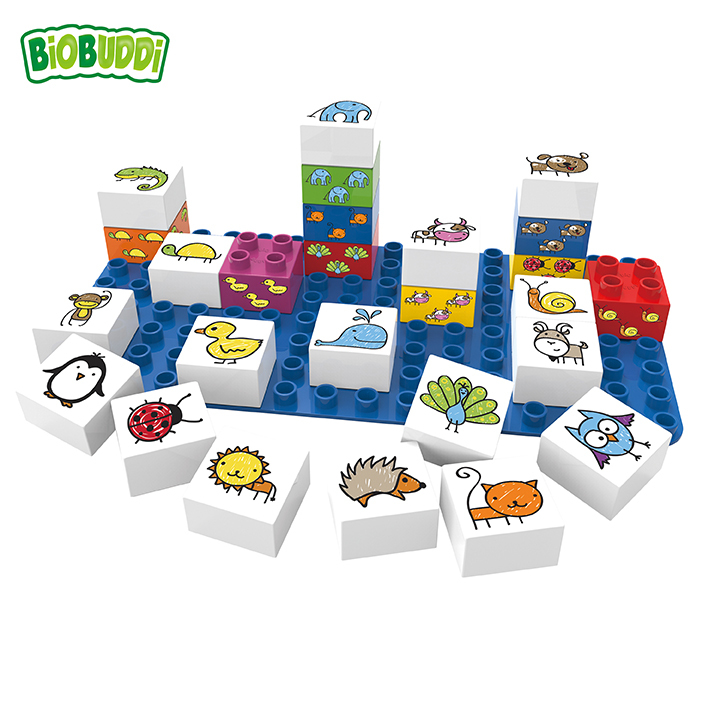 Within the box you will find a base plate and 26 building blocks, and a set of animal stickers. 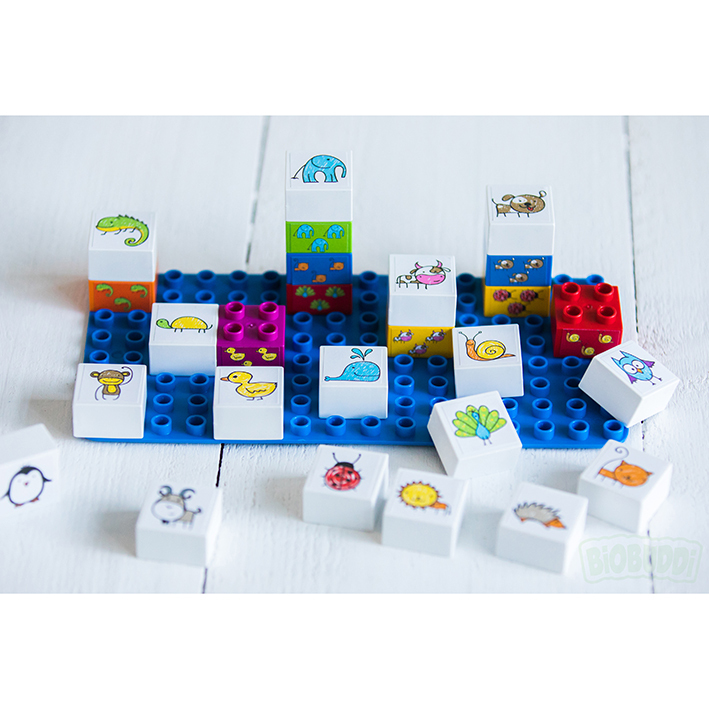 9 of the building blocks are coloured blocks while the other 17 are smooth white blocks. Where are all the animals? 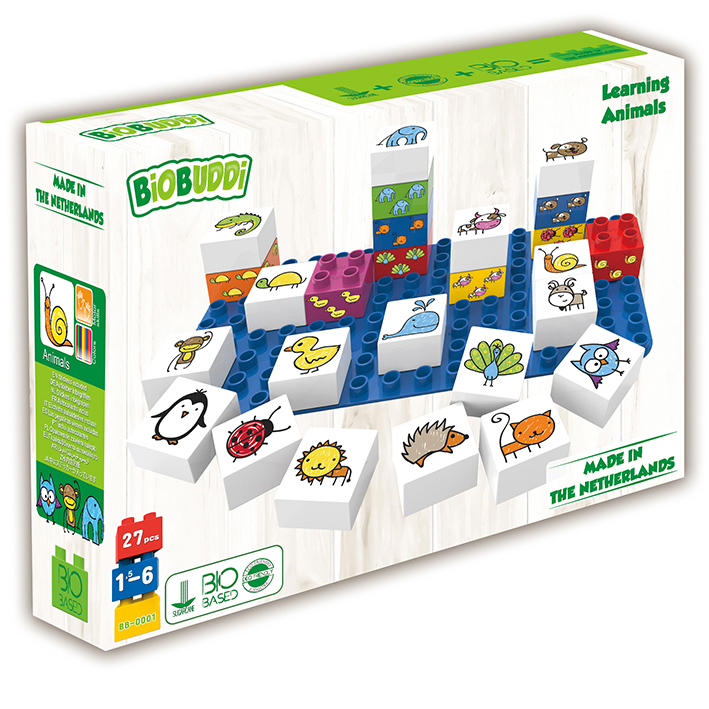 Create your own mini farm or zoo, the possibilities are endless!